People are still reeling from the unimaginable events that happened in Las Vegas where a man named Stephen Paddock killed 59 people and injured more than 500 other people. Our president called the attack “an act of pure evil” and has mentioned that Homeland Security is still working with local authorities to try to figure out what happened. President Trump also spoke with Nevada's mayor, governor, and the sheriff. The president also observed a moment of silence for the victims right after the shooting and visited with people in Las Vegas. So many lives were taken and we're still left with many questions. One is how one man managed to carry out these plans alone. It's hard to believe that he didn't have help considering all of the weapons that were found in his room and how many people he managed to hurt and kill. 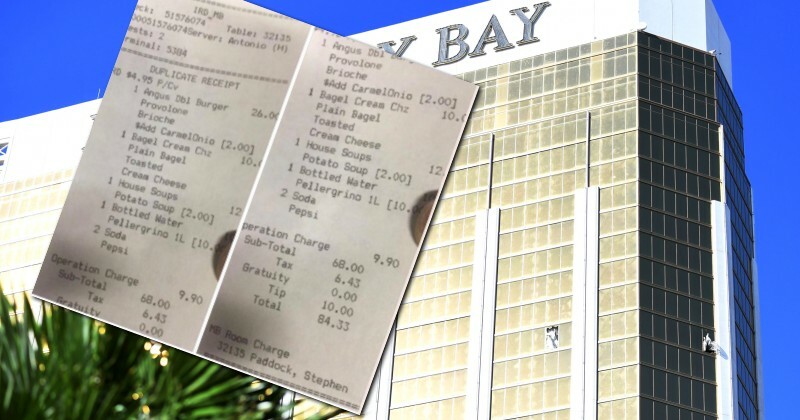 Recently a person on Facebook revealed a receipt that may suggest that someone else was in Paddock's room with him. To find out more about this mysterious receipt and what else that may mean, check out the next page.